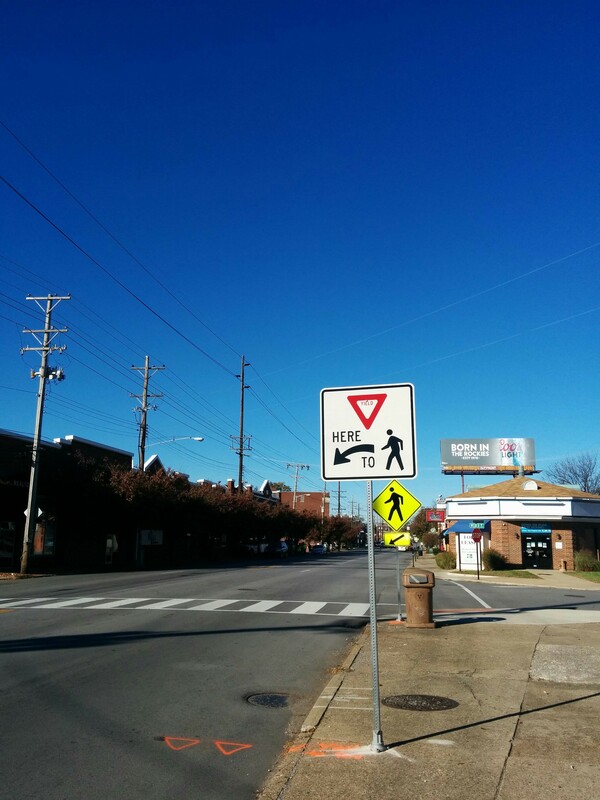 Anyone who’s ever tried to cross Bardstown Rd at Weber Ave knows what a complete joke that crosswalk is. That vast majority of cars flat-out refuse to stop for pedestrians and there’s a whole contingent of drivers who love to yell at people who dare to try and cross the street. Well, as of this morning, there are new “yield to pedestrian” signs on both sides of the street leading up to the crosswalk. It’s a small gesture but it’s nice to see the city trying to take steps to improve pedestrian access at that crossing.